MORGANTOWN — Javier Reyes, an expert in global economic matters, an award-winning educator, an innovative leader in learning technologies and an experienced relationship builder between industry and academics, has been named the Milan Puskar Dean of West Virginia University’s College of Business and Economics, effective June 30. “Javier Reyes will be a tremendous asset to West Virginia University,” said President Gordon Gee. “He is committed to an energetic engagement with the business community and the people of the state that defines our institution. The partnerships and outreach efforts that he plans to develop will create a positive economic impact throughout West Virginia,” Gee added. Provost Joyce McConnell described Reyes as “a truly extraordinary educator. Moreover, he has deep and broad expertise in international economics and in the specific economic issues we face as our rapidly changing and increasingly globalized society. “This expertise, combined with Dr. Reyes’s commitment to excellent education, make him exactly who we want leading the way as we educate the business leaders of tomorrow. “As young people become increasingly concerned with entering a career right out of college, more of them pursue majors in our College of B&E,” McConnell said. “This means that we want the College to be even stronger, both as an academic entity and as a launchpad for future business leaders, entrepreneurs, and economic drivers. That’s what makes Dr. Reyes such a good fit for WVU. He understands what skills and knowledge bases our students will need to excel in business and economics fields and he knows how to get them there,” McConnell added. 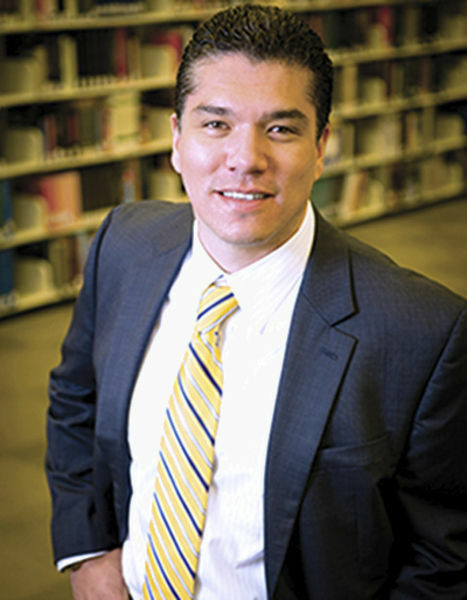 Reyes is a tenured professor of economics and currently the vice provost for distance education at the University of Arkansas and the associate dean for undergraduate studies and executive education at that university’s Sam M. Walton College of Business. He joined the economics faculty of the University of Arkansas in 2003 and has served in a number of administrative roles for the institution, including as director of the Walton College’s honors program and associate dean for the College. “I am deeply honored to serve as the dean of the College of B&E and work closely with the College’s exceptional faculty and staff,” Reyes said. “It is thrilling to join a university with so much momentum — as a leader in education, as a partner institution with industry, and as an entity pushing for innovation. West Virginia University clearly understands that in this day and age, a research university needs to be dynamic, innovative, and entrepreneurial in all dimensions, but especially in the ways it is preparing the business leaders of tomorrow,” he added.